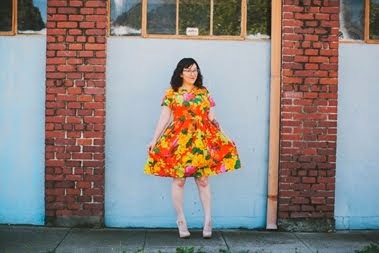 When fellow seamstress, Whitney, contacted me and asked if I would be interested in doing a giveaway hosted by her Etsy shop, Garden Garnish, I was pretty excited. The weather in Pismo Beach warms up right around now, so it is the perfect time to be outside with my plants. I know a lot of you ladies also spend some time out in your gardens and would be into this giveaway. 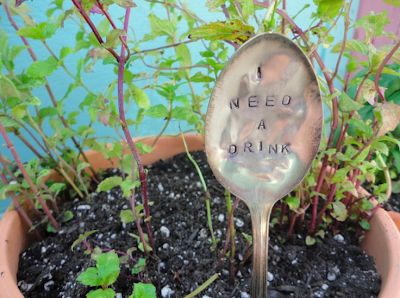 If not, I'm sure you know someone that wouldn't mind getting these as a holiday gift, right? Whitney said that she didn't feel creative until she started sewing. Since then she has expanded her interests to making these markers. She started out making them for friends and family, but now has her own Etsy shop and two stores near Indianapolis carry her products. 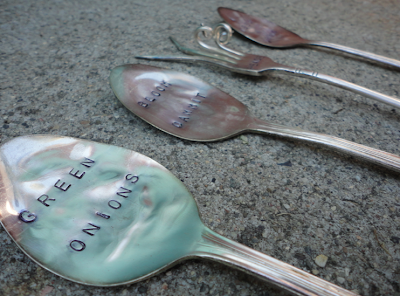 She says she gets out some aggression when she makes these. She uses a mallet, stamps, and sometimes even a blowtorch! It's good that she gets her aggression out while making these and not while sewing! When I'm doing angry sewing that's usually when my seam ripper and I become BFFs. If you check out her shop you'll see all the different clever phrases she comes up with. When you place an order you can choose from one of the listings she already has or come up with your own custom phrase. How cool! Whitney was nice enough to offer a giveaway of three markers from her Etsy shop, custom wording or one of the listed items, to one of my readers. All you need to do is comment below with which items you would like or which phrase you would use. I know you guys will come up with some good ones, let's hear them! Oh, and make sure to leave an e-mail address, blog link, or some way for me to contact you. The giveaway will last until Thursday, September 12th at 11:59 pm PST. If you want to own one of Whitney's pieces ASAP then use coupon code MissCC20 for 20% through the end of September. Ooh I would choose Need a drink, Grow damnit and I loove the peace fork. Thanks for the cool give away! How about, "Grow up", "Eat me" and "Spice up your life"? 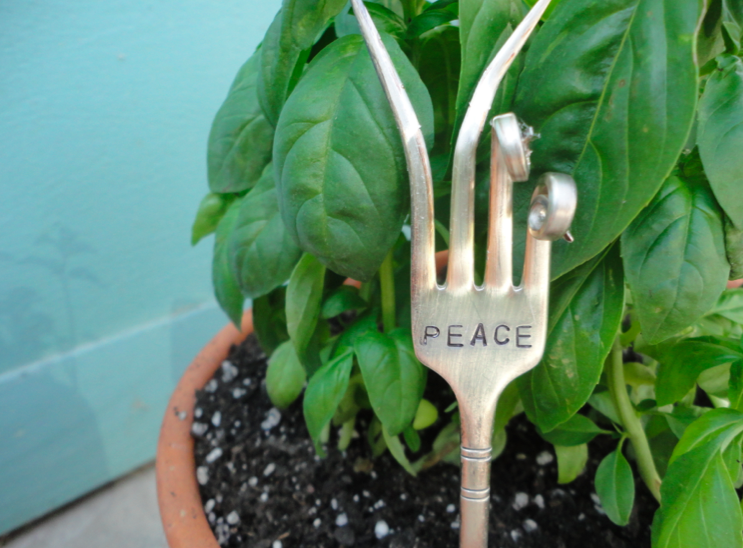 I love the peace fork. Another saying is" Where's the sunscreen" or "I need some sun"
These are really cute! 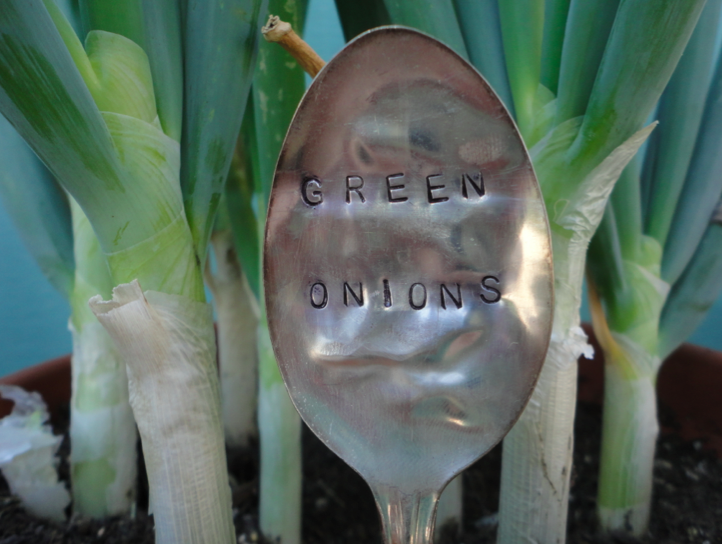 What a cool idea for old silverware. 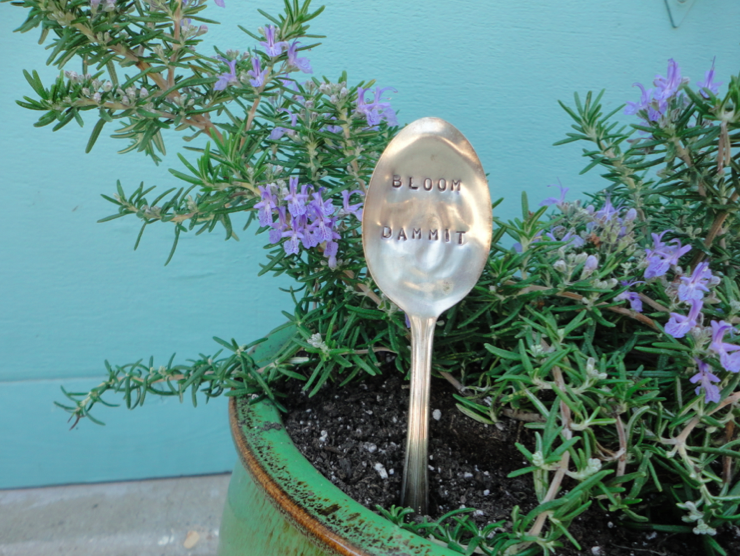 I think I would have to choose the "Bloom Dammit" one, because it really fits my garden situation at the moment! Nothing is growing fast enough! These are really cute. I don't currently have a garden, but when I get one in the future, I could use the "Lucy in the sky with diamonds" marker, the "Cat Crossing" one for sure, and maybe a tomato or mint marker. I am loving all of these ideas and suggestions! I kind of feel like Sally Field, "You like me, you really like me!"